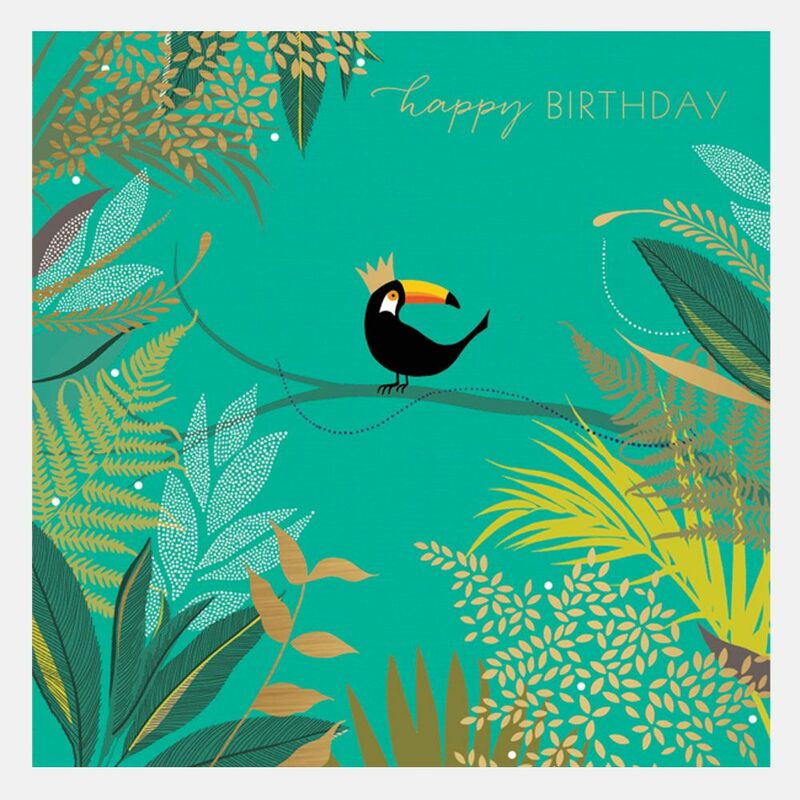 Toucan on a Branch Birthday Card from Sara Miller London. This stunning card is beautifully finished with textured gold foil and embossed detail. The card is blank inside for your own message.